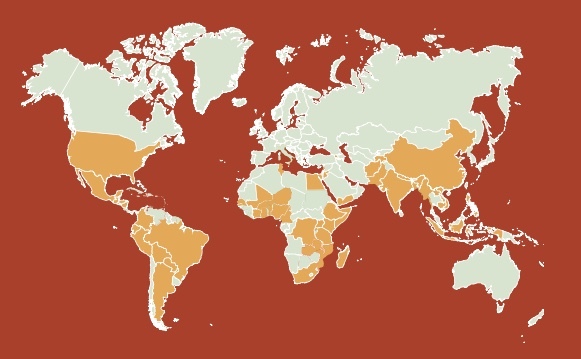 The CGIAR Research Program on Policies, Institutions, and Markets leads action-oriented research to provide support for policies that help poor farmers, both men and women, improve their lives; produce nutritious and affordable foods; and protect the soil, water, and biodiversity in rural landscapes. Sound policies, robust institutions, and well-functioning markets complement new discoveries of agricultural science to create dynamic and resilient food systems. The combination of strong agricultural science and good policy is especially important in poor rural areas, where many people depend on farming for their livelihoods. Agricultural growth creates new jobs both on and off farms as rural economies diversify. Consumers benefit from more affordable food. Landscapes recover as farmers, fishers, herders, and forest dwellers adopt better management regimes and develop new institutions for collaborative governance. Many countries fall far short of the good policies and strong institutions needed. Our research helps diagnose problems and assess their priority, test potential options, and evaluate reforms or large scale programs. The work falls into the thematic categories of technological innovation, rural transformation, value chains, social protection, natural resource governance, and gender. Global program with special emphasis on Africa south of the Sahara, South Asia, and selected countries in East Asia, Southeast Asia, Central Asia, and Latin America. January 2017 marked the launch of Phase 2 of the CGIAR Research Programs and with that, the start-up of the CGIAR Collaborative Platform for Gender Research. CGIAR Collaborative Platform for Gender Research is housed in the CGIAR Research Program on Policies, Institutions, and Markets (PIM) and serves all CGIAR research programs. It aims to increase the visibility and impact of gender research undertaken across CGIAR. The Platform supports priority setting for gender research, strategic partnerships, capacity development, and collaboration between and among CGIAR programs, Centers, and partners, building on the work of system-wide gender network established in 2011. The Platform Coordinator, Rhiannon Pyburn, is based at the Royal Tropical Institute (KIT) in Amsterdam, supported by a communications team.